Recently, the Keisuke chain celebrated its 5th anniversary in Singapore. Founder Keisuke Takeda began his culinary journey working as a chef in a French restaurant in Japan. Over time, he transitioned to Japanese cuisine. With experience from both styles of cooking, he developed his unique style combining the best of both worlds. His main intent was to create a ramen that “nobody else has tried and tasted before”. In 2010, he entered Singapore’s lucrative food scene with his Ramen Dining Keisuke Tokyo. 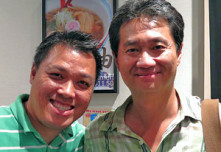 Five years later, he had established seven ramen shops across Singapore. Now, on the occasion of Keisuke’s 5th anniversary in Singapore, he invited the media and various VIPs to celebrate his success with him at his Keisuke Tokyo outlet at Suntec City. Though the space within the restaurant was modest, the guests were treated to rich hors d’oeuvres and seafood freshly flown in from the markets in Tokyo. 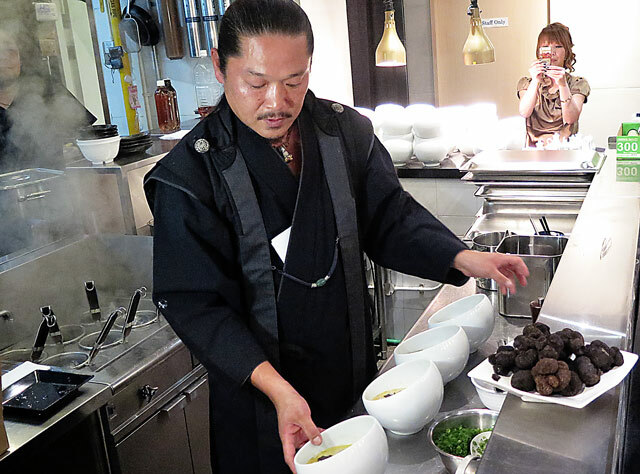 And, as a special treat for all the guests, Keisuke Takeda created and personally cooked his special Truffle Ramen! Ramen Master Keisuke Takeda specially created and prepared this precious dish for guests on the occasion of the 5th anniversary of Keisuke in Singapore. 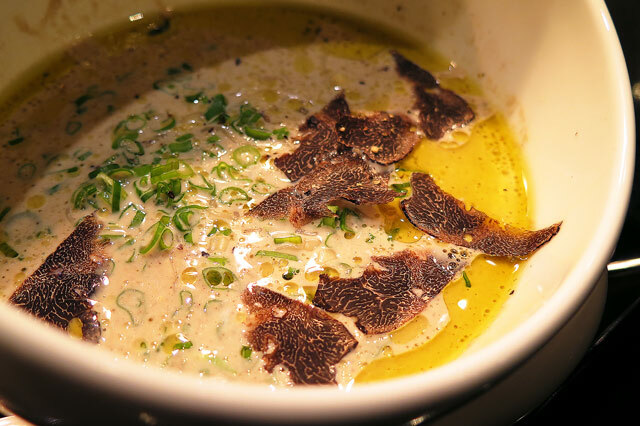 Each guest had the pleasure to taste his wonderful Truffle Ramen, with its rich golden broth, sprinkled generously with shaved slices of truffles. It was truly a rare and wonderful gastronomical experience! 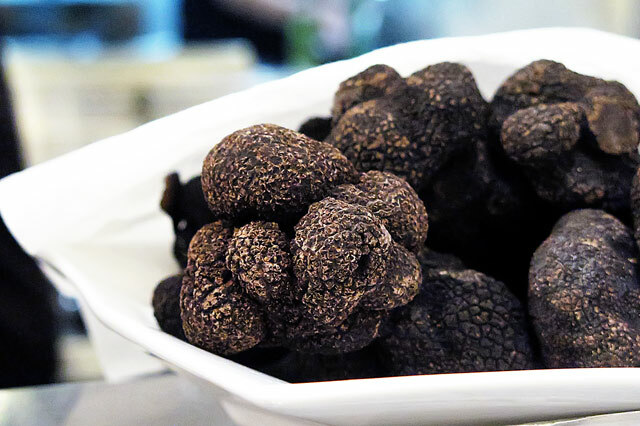 Truffles – so ugly, so good! Kelvin Chan, winner of Canon’s Weekender Food Photojournalist Contest, poses with Frank Young, Editorial Director of Weekender. Photos taken by Kelvin Chan, winner of Canon’s Weekender Food Photojournalist Contest, using a Canon PowerShot G16.